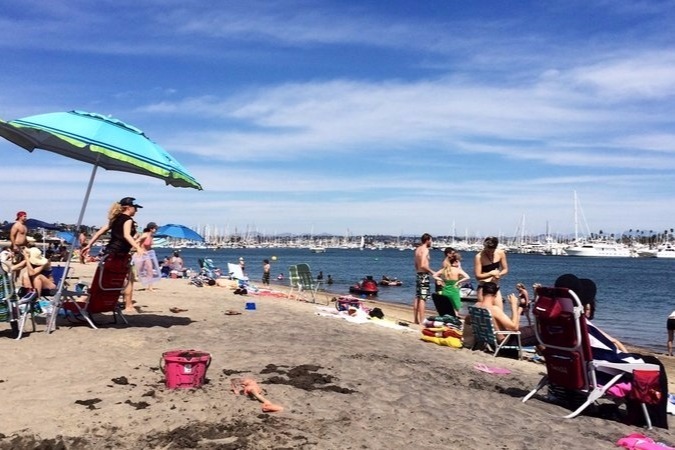 Along San Diego Bay in Point Loma, there is a beautiful stretch of sand and water known locally as "Kellogg's Beach". 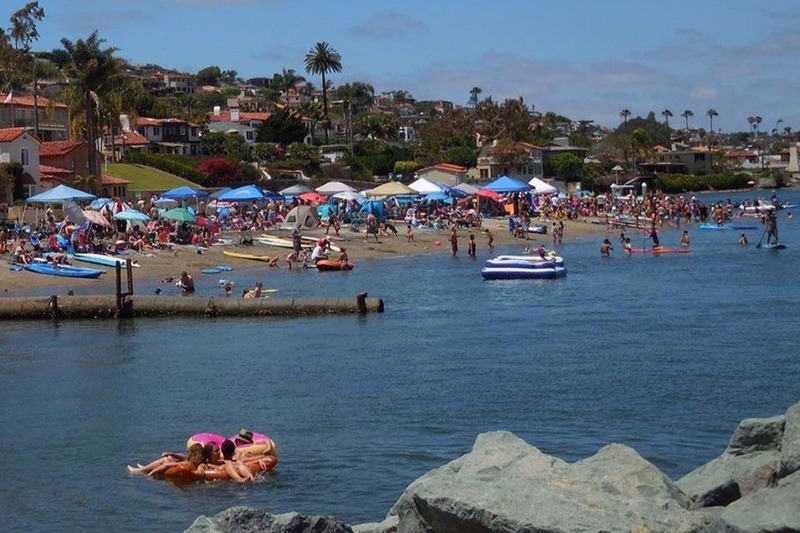 For generations, it has been a place where locals congregate on sunny weekends and families enjoy the calm water, gentle waves, and scenic views. This is a small public beach, cherished by all who live near to it and by those who visit here. 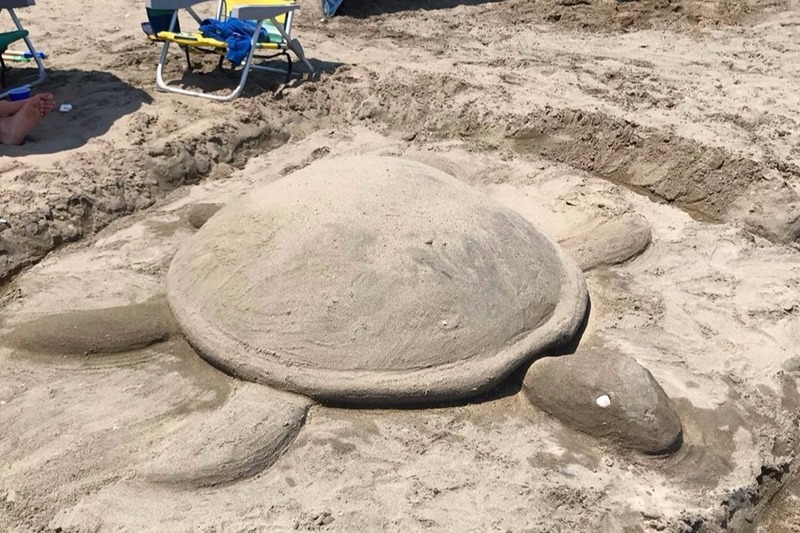 “I raised my children on this beautiful beach. It's perfect for families with little children and you can't say that about most beaches." -- Gabrielle X. "Taught my 3 kids to swim in the bay at Kellogg's beach and I plan to teach my grandkids too. Also love to use the stair access to take out my paddle board." 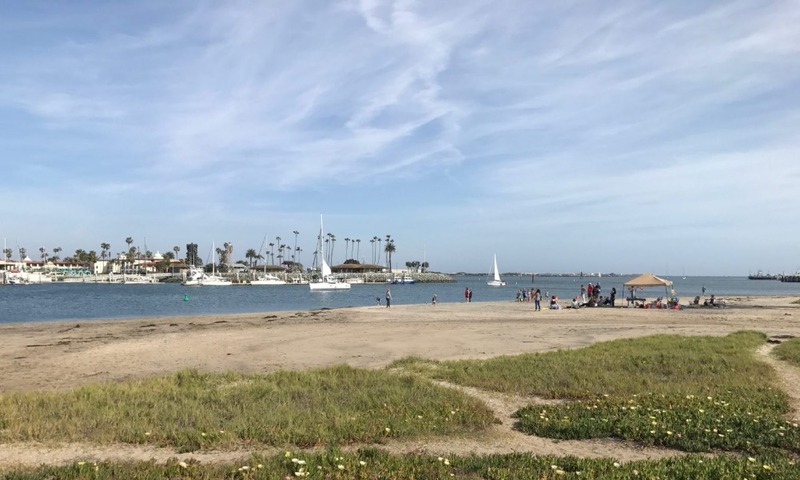 -- Lisa H.
However, a potential Multi-family development right on Kellogg Beach threatens all who cherish this beautiful public beach and the surrounding area. If you’d like to read more about the development project, please visit our petition on Change.org . 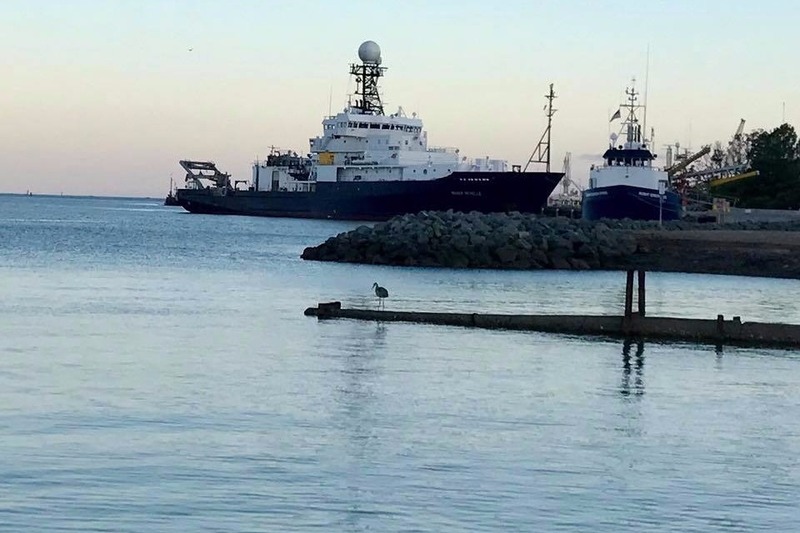 "I work right next to Kellogg Beach, at the Nimitz Marine Facility. I utilize the beach for exercise and recreation daily, and I've been bringing my family to it for years. I strongly oppose any development that would reduce it's already very small size, or access to it." 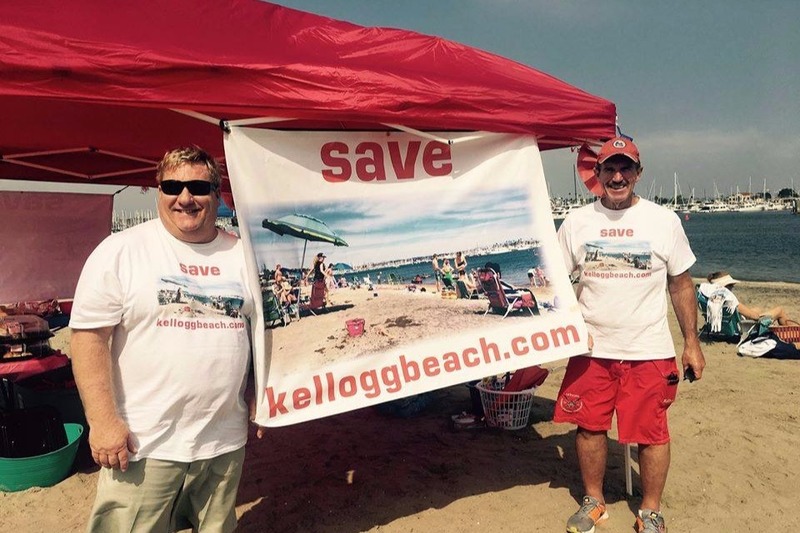 -- Aaron D.
“Save Kellogg Beach” was formed to help raise awareness in the community and to effectively communicate concerns about any development that may adversely impact this beach and the surrounding area. Save Kellogg Beach has engaged the services of several key professionals to assist with strategy, research, community outreach and to make certain that the voice of the community is effectively heard by the various agencies that will have a say in any possible development. That's why we need your help! Please consider donating today to help fund our efforts to preserve Kellogg Beach. Please give generously, although any amount, no matter how small, will help and is greatly appreciated. 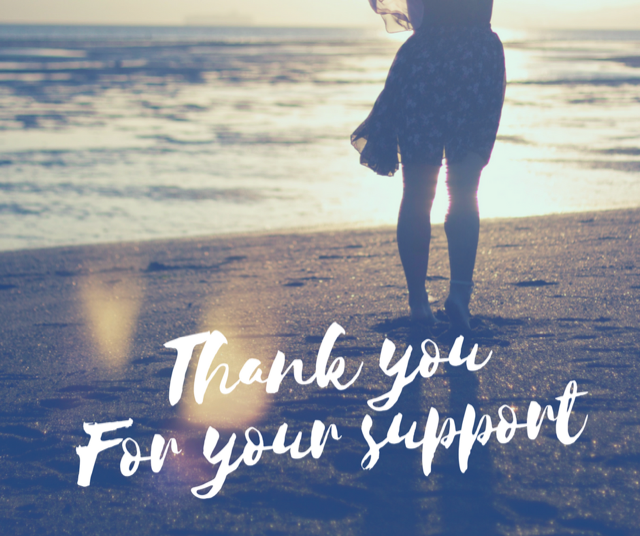 Thank you for your support, and please share this with your family & friends to ask them to donate to help us conserve the character of this treasured family beach. UPDATE: As a refresher, the real estate speculator is planning to build 8 condo units right on tiny Kellogg Beach, dwarfing the neighboring homes. We still have time to voice our concerns and influence the outcome. Donations will support legal and technical expenses. • Share this information with your family & friends! Thank you for helping to preserve Kellogg Beach from over development!! 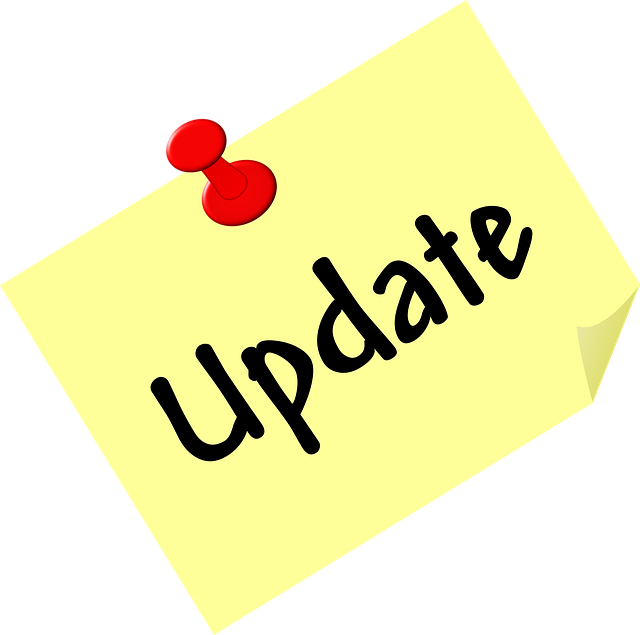 UPDATE: Thanks to your support, our Change. org petition is two-thirds of the way to our goal, and our GoFundMe page is almost half way to our goal!! Let's not let the momentum die - please keep spreading the word and sharing our GoFundMe page with your friends and family. We couldn't do this without your support - thank you again! 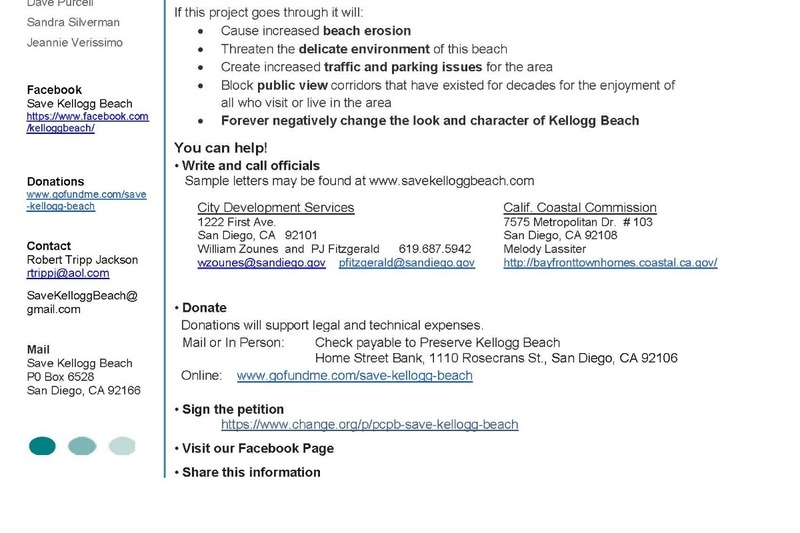 For those who care about Kellogg Beach and preserving it, preserving the beach access, slowing the erosion, etc. – please consider sending letters to the City, Port District and Coastal Commission. In the link below, you will see street addresses for snail mail (this can be very effective) and e-mail addresses, if you choose to simply e-mail. When sending to the City, via e-mail or other, please copy the names at the bottom of the letter. **Personalize the letters where possible. Make it your story, your concerns. **Public views should be protected by the City, but any private views you may have should not be mentioned as a concern. **Use the bullet points in sample letters to guide you with many/most of the relevant issues, but don’t be afraid to share more you may have and make it personal. **If e-mailing, please copy all of the names given for that particular agency (ie, City, Port District or Coastal Commission). **Consider advising them that you wish to be notified of any meetings or hearings where the public can attend. Sending these letters and having the regulators and code enforcement people hear from the community is critical to this effort so they know we’re very concerned! The Developer keeps resubmitting the same plan with minor changes, and in late December, the City responded to the Developer advising their team that the plan could not be approved as is, and that they share many of the same major concerns as we do. The City has been diligent in respecting the concerns of the community, and they continue to acknowledge concerns about the beach, the public access, the environment, and other aspects of the design and impact of this project; we appreciate their support! But we can't let up!! Our efforts will need to continue if we want to see this through, and we will continue to need the support of our great community to keep voicing our concerns to the City. Please consider sharing our GoFundMe page ( https://www.gofundme.com/save-kellogg-beach) to help fund our efforts in communicating with the City. Every little bit helps, and we appreciate your support - Thank you!